Family owned and run, our award winning Christchurch vineyard creates a picture perfect setting for our newly built, acoustically designed and 100% NBS Earth Quake built function room/venue. Previously utilizing a large marquee, the new function room now is a year round, modern venue with a commercial vineyard outlook. Whether it’s a function for 30 or 200, are facilities are such that your event can be as personable or corporate as you require. Other facilities include a beautiful outdoor pergola area, ideal for pre-event drinks or a wine tasting, a petanque court and a large convenient car parking for your guests. The grounds, twenty acres of lush grape vines and mature gardens, are a lovely setting for your wedding photos and is all within close proximity to many other beautiful locations your wedding photographer might want to whisk you away to. These facilities enable us to provide you with a vibrant, relaxing, unique and exceptionally convenient venue for your wedding, corporate event, work function or special family gathering. All of this located within the outer Christchurch city limits on Harewood Road, making transport for your guests, very easy and hassle free. 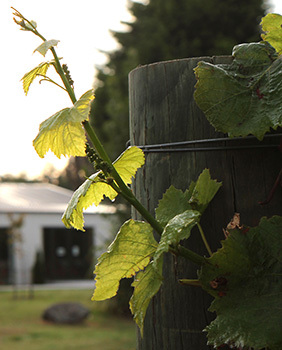 Omarino Wine Park, place where people come together to create memorable moments in Christchurch.